We’re talking about houses that weren’t necessarily damaged, they’re still standing—but even so there was a drop in the price of the house afterward. Absolutely, yeah. So what happened here, what I think it is interesting from a bigger scale, is we have landscape-scale change because of the wildfire that caused flooding in areas that had—there was no flood insurance, and there was no record of flooding in geologic time. This is a big challenge related to forest management in the western US because now we’re having economic impacts from secondary effects of the wildfire, and these economic impacts are quite significant. Individual homeowners, this is an additional loss of wealth that they’re experiencing because of the landscape change from wildfire. And that additional loss of wealth, for some people was in the thousands of dollars. Yes, or hundreds of thousands of dollars. So why do you think that this happens? This is the nature of Flagstaff, right? People want to live in Flagstaff because they appreciate views, they appreciate proximity to the recreation opportunities from the forest. When we have these events, they impact housing prices because they reflect that willingness to pay. They reflect that amenity value. Just speculating, but I imagine—you talked about the floods occurred in places where there hadn’t been flooding before—so maybe it seemed a little too risky to live there. Certainly the flood here, really a unique situation—all over the US we have people living near oceans and in floodplains—but that was not the case here before this event and now it is. That part is an important policy question, so there’s a lot more than needs to be investigated there moving forward about how we handle these situations where we have existing infrastructure and existing homes that are now in high risk that were not in high risk areas before. We’re scratching the surface of that here. Why do you think it’s important to quantify these effects, to have research like this, maybe from a policy perspective? I think numbers—numbers are used in budgeting, right? We spend X amount of dollars on flooding infrastructure. How does that compare to the potential loss of wealth that would happen if we didn’t spend that money and let the flood come? Those types of comparisons can be really useful. And it also helps support more forward looking policies, things like forest restoration, and preemptive development of flood infrastructure, if we understand there’s potential wealth effects and they’re quantified. I think it helps to understand the budgeting and ways to figure out how to move forward. Julie Mueller, thanks so much for speaking with me today. Thank you, it’s been great. A video released by the U.S. Forest Service shows how a gender reveal event led to a costly wildfire in southern Arizona that forced about 200 people out of their homes. The wildfires burning throughout California have become the most destructive and deadly in the state’s history. KNAU’s Ryan Heinsius reports, firefighters from around the country are helping out including nearly 170 from Arizona. How much would you pay to restore the forest around you? A new economic study says the better your view, the tighter your purse strings. 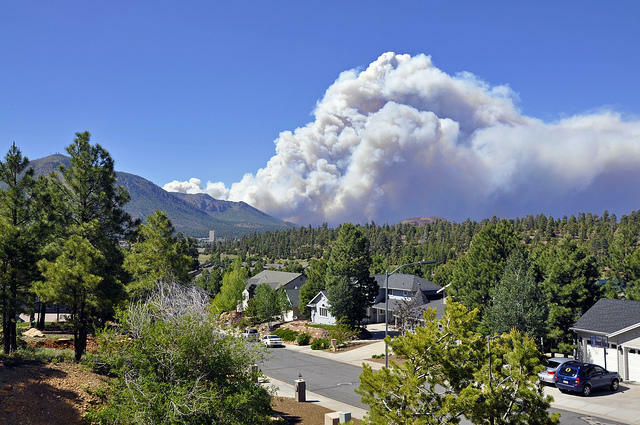 Researchers at Northern Arizona University surveyed Flagstaff residents and discovered people who can see the San Francisco Peaks from their house are less willing to pay for forest restoration projects meant to protect the town from catastrophic wildfires.  KNAU’s Melissa Sevigny spoke with the study’s lead author, Julie Mueller.